Ladies and gentlemen the funny man is back singing. I think we all remember "Party All The Time" a song produced by the late Rick James. Eddie Murphy is back with a new song, this time he's doing a tender love ballad. I have to say that it's not bad at all but I just can't get over Eddie Murphy singing. Jamie Foxx is a comedian and actor who also sings. We take Jamie seriously when he sings but it's something about Eddie Murphy singing where you expect a joke somewhere. It's like I expect Eddie Murphy to break into his character of Jimmy Early from Dreamgirls and start singing "Jimmy want ribs, Jimmy want steak, Jimmy want a piece of your chocolate cake" and drop his pants. 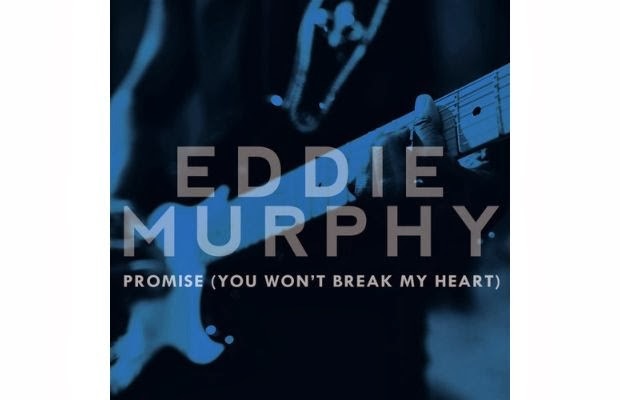 Tell me what you think of Eddie Murphy's "Promise You Won't Break My Heart"?